Viber is one of the few voice-over-Internet apps that continues to enjoy a whole lot of attention from a lot of users since inception in 2010. The app is quite popular for easy to navigate interface, as well as its straightforward steps when signing up. Once you have it downloaded onto your device, you’ll only need to put in your phone number. You will then receive a verification code and you will be all set. The app has versions that run on all the major platforms, so you shouldn’t have to worry about compatibility. With more than 200 million global users, the messaging app has definitely struck a chord with a large majority of smartphone owners. Its value has also risen up through the years, leading to a nine figure buy out by Japanese e-commerce giant Rakuten. The users also get to benefit from a nice list of time saving features. These include quick group changing, photo doodling and your conversations gallery to mention a few. Why Is Viber Blocked in China? Viber is a messaging app that you’d like to be able to use regardless of wherever you are. Unfortunately, there’s a long list of countries that you could go to that wouldn’t really allow for the app to run within their borders. One of the most notable among this list is China. China is one of the most heavily censored countries in the world. There are a lot of measures put in place to ensure that Chinese people turn to their homemade apps for whatever they could be looking to do. This agenda is made possible largely through the famous Great Wall of China. For those that aren’t familiar, the Great Firewall of China is more like a filtering mechanism that keeps out most of the information that we in other parts of the world would freely access thanks to the unrestricted Internet. The firewall is arguably the largest form of censorship in the world. Unblocking Viber while in China might be possible, but after working around plenty of obstacles. Instead of doing all the grunt work yourself, there is one guaranteed, hassle-free method of unblocking Viber while in China. This through the use of a VPN service. Sign up for a VPN provider (ExpressVPN would be a great choice). Download and install the VPN app on your Android or iOS device. 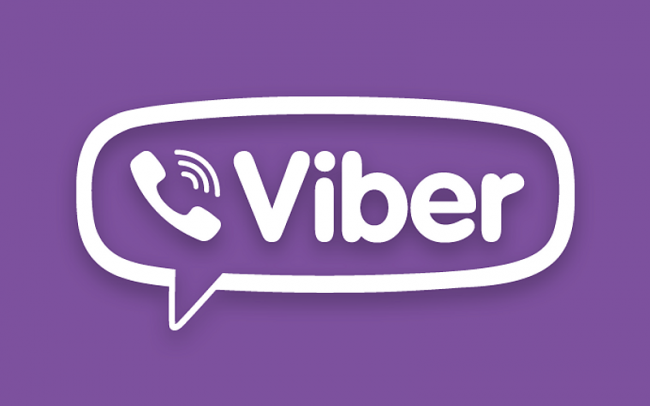 Connect to a server of a country where Viber is accessible. Conveying your data through these servers means you’re able to even make changes to your IP address. You can choose to seem as though you’re based in the US, UK or any other region by simply connecting to a server that’s based in those countries. With this done, you’ll be able to change your location, and even access geo-blocked sites and channels. Not many providers have proven to be as reliable as ExpressVPN. This is one of the many things that contribute to its many awards over the years. Based in the British Virgin Islands, ExpressVPN has a sturdy network of about 2000 servers. There’s also its capacity to support up to 3 multiple connections, and its 256 bit AES military grade encryption for security. The provider also has a number of unique features that you really won’t find with its competitors. There’s its split tunneling feature that allows you to control what gets encrypted, and its stealth servers for use in highly censored regions such as China. ExpressVPN is skewed towards the use of OpenVPN as the most secure protocol. For users that prefer otherwise, there’s also PPTP, SSTP, and L2TP/IPSec to choose from. Its customer care team is always at hand to help out, and can be contacted through either social media, live messaging or even emails. Its VPN client is also quite easy to use and navigate through. If you choose to download it directly onto your router, you’ll have a much higher number of simultaneous devices that you can get protected. Its group of stealth servers is also perfect for hiding your connection especially if you’re in a highly restricted place like China. To find out more about the provider, have a look at our ExpressVPN Review. IPVanish is another provider that you ought to seriously consider. The service offers among the highest speeds, and this is great for users that’d like to do a lot of streaming or bulk downloading. IPVanish is based in the US, but this shouldn’t phase anyone aware of their government’s reputation for eavesdropping. IPVanish guarantees that user data stays safe thanks to their tough zero logging policy, and their 256 bit AES encryption protocol. Users looking to secure all their devices will be glad to know that a single account can have up to 10 multiple connections. Bandwidth use does not get any limits, and the service also allows for both anonymous traffic and unlimited peer to peer file transfers. Using IPVanish means you get to decide whether or not to download its VPN client. If you choose to, you’ll get an app that’s compatible with a long list of platforms such as iOS, Windows, Linux, and Android. If not, you could opt for its web-based SOCKS5 proxy, that keeps your location hidden and therefore grants you access to geo-restricted services. There’s also a group of browser extensions you can choose from depending on your preference These are just some of the features that IPVanish will use to ensure your access to Viber from China. For a detailed evaluation, take a look at our IPVanish Review. Concluding our list is another formidable provider, NordVPN. Thanks to being around for more than a decade, NordVPN has worked towards developing a number of features that supplement its provision for 256 bit AES encryption. One of these includes Double VPN; a security feature that passes your data through two servers instead of one. There’s also the option to choose which servers to connect to based on what you’re doing online. There are servers optimized for gaming, bulk downloads, HD streaming as well as torrenting. You’ll also get the option to have up to 6 multiple connections, that you can use to have all your devices secured. NordVPN also works quite well to keep your use anonymous, and this is thanks to its support for Tor over VPN. Using apps like Viber in restricted regions like China is quite possible with NordVPN. This is because of its range of obfuscated servers that allow you to use VPN without detection. Subscribers also get to enjoy unrestricted access to geo-blocked sites and channels thanks to SmartPlay software. The software alters or even hides your IP to help avoid detection. You can also choose to have an address reserved for you courtesy of NordVPN’s support for dedicated IPs. This works especially well when coupled with its CyberSec feature, which keeps away ads and malware. All this is just a snapshot of what to expect when subscribing to NordVPN. For a full breakdown of the service, take a look at our NordVPN Review. Using Viber in China should be a breeze if you sign up with any of the providers we’ve mentioned in this review. To know which exact one you should turn to, spare some time and go through the individual reviews to learn more about each of the three.